DOES anyone still care about the BRICS? Brazil, Russia, India, China and South Africa concluded their tenth official summit in Johannesburg on July 26th. The widespread perception is that the group has failed to live up to the hype the acronym helped to generate. But that is only half true. 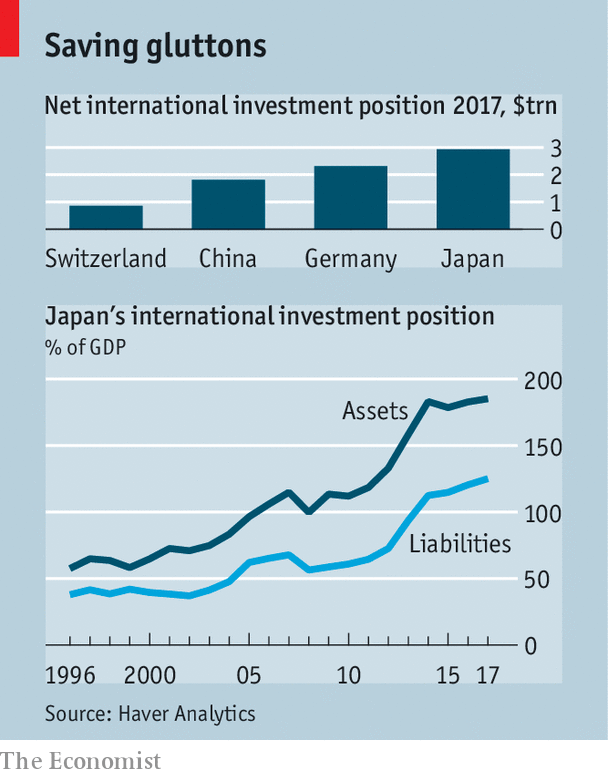 The combined GDP of the original quartet (which did not include South Africa) is actually far bigger in dollar terms than Goldman Sachs envisaged when they first projected BRIC growth in 2003 (after Jim O’Neill, their former head of economic research, coined the acronym two years earlier). China’s rapid expansion has more than made up for tribulations elsewhere. And thanks to the evolution of the BRICs’ exchange rates and prices, their dollar growth has been more impressive than their performance measured in their own currencies. “The relative and absolute position of the BRICS, with the exception of Russia, is close to what I envisioned in 2001,” Mr O’Neill said in a recent interview. Something else that has grown like Topsy is the bloc’s agenda. The first official summit in 2009, held in Yekaterinburg, Russia, yielded a short declaration containing 15 identifiable commitments, according to the BRICS Information Centre at the University of Toronto. Eight years later, when the leaders met in Xiamen, China, the declaration stretched to 71 numbered paragraphs stuffed with 125 discrete promises. The statement just released in Johannesburg is even baggier: 102 paragraphs containing an as yet uncounted number of pledges. They cover everything from settling trade disputes and securing Syria to making more movies together. Are any of these commitments kept? It’s easy to assume they are barely read, let alone fulfilled. But they are not quite that empty, according to the BRICS Information Centre’s analysis. Before each summit, it checks whether members have lived up to the main promises they made the year before. I’ve added up their scores for seven summits, from 2011, when South Africa joined the official group, to 2017. They show a surprisingly high rate of compliance: 77% on average. China keeps its word the most; South Africa the least (partly because it has contributed little to the group’s various commitments to Iraq and Afghanistan). 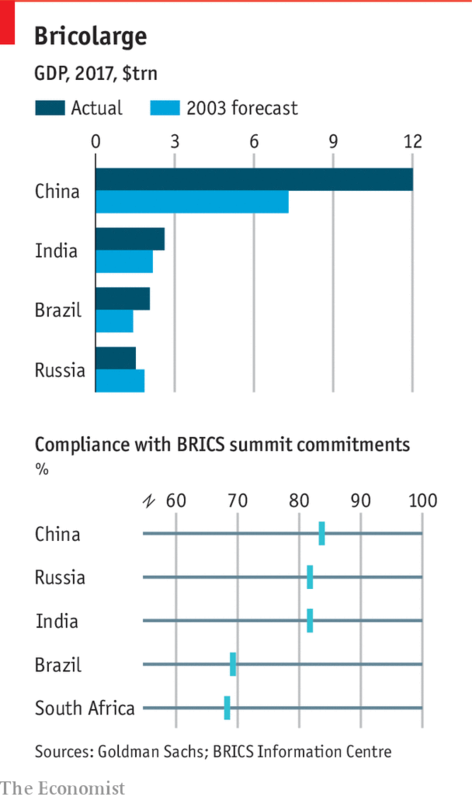 The BRICS’ overall rate of compliance is very similar to that of the G7 over the same period. And that was before this year’s tetchy G7 standoff in Charlevoix, Canada (a meeting that was dubbed the G6+1 summit by some critics of American unilateralism). Acronymy is better than acrimony.